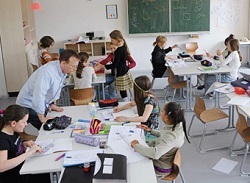 The next stage in this initiative has now begun–the formation of a Regional Action Cluster (RAC) for each of these areas charged with the task of developing over the next eight months a final product or resource for practitioners and policymakers that can move STEM teacher leadership forward. These RAC’s will accomplish their tasks through four virtual meetings with development work between meetings by the RAC members. STEM teacher leadership development is as much an imperative in Kentucky as elsewhere in the nation, and hopefully the work of these RAC’s will make a significant contribution to the ongoing teacher leadership initiatives already underway here in the Commonwealth. 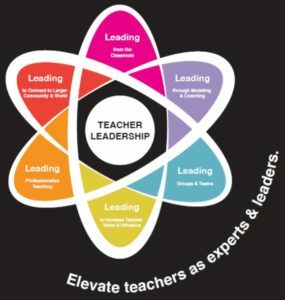 Teacher leadership has emerged recently as a key strategy in KDE’s EQUITABLE ACCESS TO EFFECTIVE EDUCATORS PLAN FOR KENTUCKY released in June 2015, and its importance is also reflected in the formation of the Kentucky Teacher Leadership Work Team, currently in the process of finalizing a Kentucky Teacher Leadership Framework. In addition, multiple networks of teacher leaders have been formed, and add their important perspective to all those working diligently to improve the career pathways of our most effective educators and expand their impact on student achievement. This entry was posted in Blog and tagged Regional Action Cluster, STEM, teacher leadership, US department of education. Bookmark the permalink.